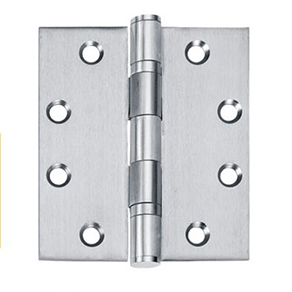 Deelat door hinges include ball bearing; and washer, riveted, single spring, security, lift off, flush and double-action spring hinge types. Among the finishes for Deelat door hinges are antique brass, polished brass, polished stainless steel, satin stainless steel and titanic gold. Deelat door hinges are installed on doors to ensure that they open and close smoothly.